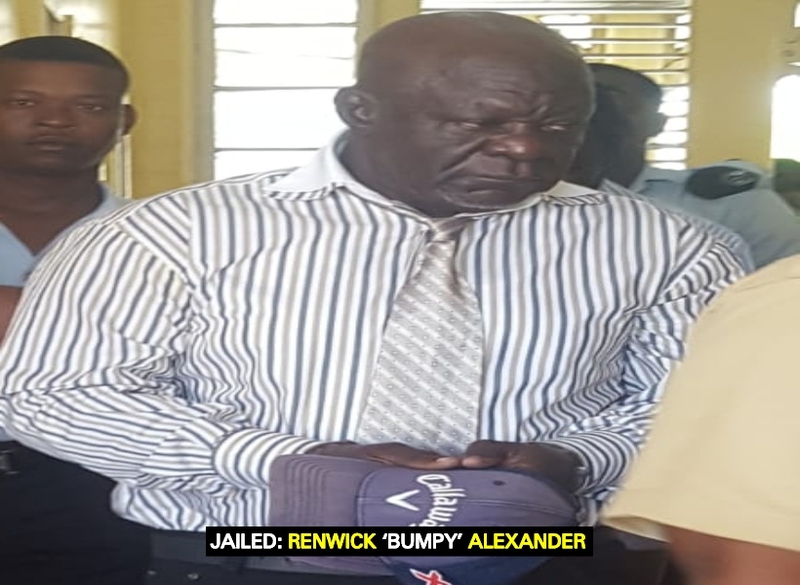 69-year-old Renwick Alexander called ‘Bumpy’ was this morning handed a twelve and a half year jail term after he pleaded guilty to a manslaughter charge, admitting that he unlawfully killed his childhood friend Carl Thomas called ‘Dog’. Alexander, accompanied by his attorney Nigel Hughes, appeared before Justice Navindra Singh at the High Court in Georgetown where he expressed remorse for his action, apologising to the daughter of the deceased who was present in court. “I am very sorry, really sorry for what took place between me and your father,” a sobbing Alexander told the woman, whom he identified as Debra. According to reports, Alexander fatally stabbed Thomas, 55, during an argument over a pile of missing clothes. The incident occurred on November 3, 2010 at John Street, Lodge, Georgetown where both of them had lived. During a plea in mitigation, Hughes told the court that his client is extremely remorseful for the act, adding that he had never been in trouble with the law prior to the incident. State Prosecutor Tariq Mohamed asked that the sentence of the court reflect the gravity and seriousness of the offence. Before he left the courtroom, Justice Singh advised Alexander to make the best of what is left of his life. Justice Singh also told him that the prison authorities will be ordered by the court to deduct from the sentence, whatever time he spent in pre-trial custody. On a lighter side, Justice Singh told Williams that he looked really good for his age. Reports indicate that in 2014, Alexander was tried and convicted for murder over the same killing and was sentenced to 56 years imprisonment by the same Justice Singh. Alexander then appealed to the Court of Appeal which ordered a retrial in November 2018.